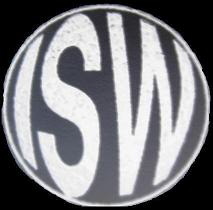 Along with the various service offerings provided, ISW is also able to provide finish touchups as well as complete refinish jobs on guitars as well as Hammond organs and Leslie speakers. All of the finish work is performed in house by me. Each refinish job starts with a complete disassembly of the instruments including removal of all hardware and electronics (as needed). Any old finish on the instrument is removed using chemical strippers where possible. Once stripping is completed any repairs to the woodwork is performed at this point in time. 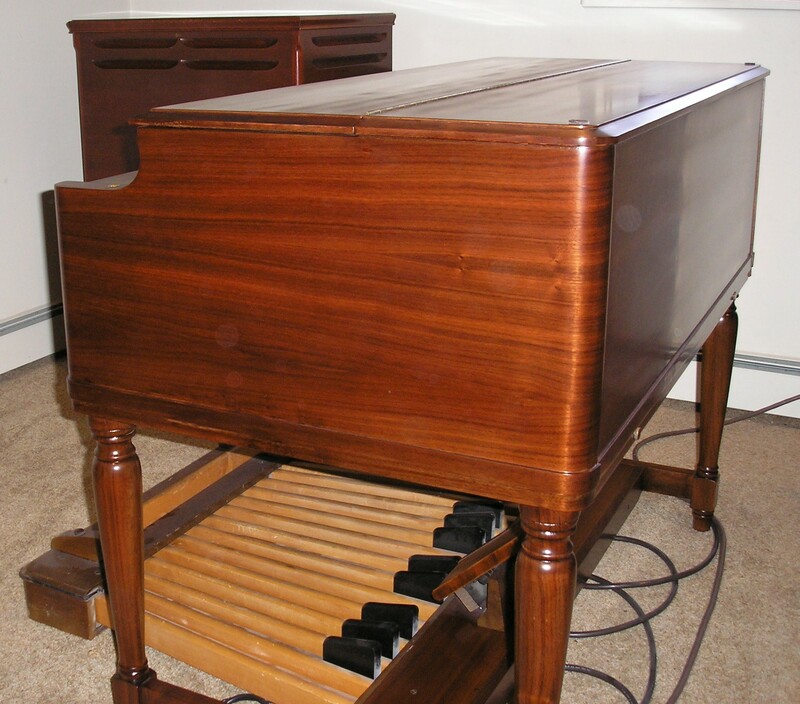 In the case of Hammond organs or Leslie speakers it is not unusual for wooden trim to be missing, loose, or broken. Trim pieces are replaced using third party supplied parts or manufactured in my shop. Loose glue joints are opened and re-glued as needed. 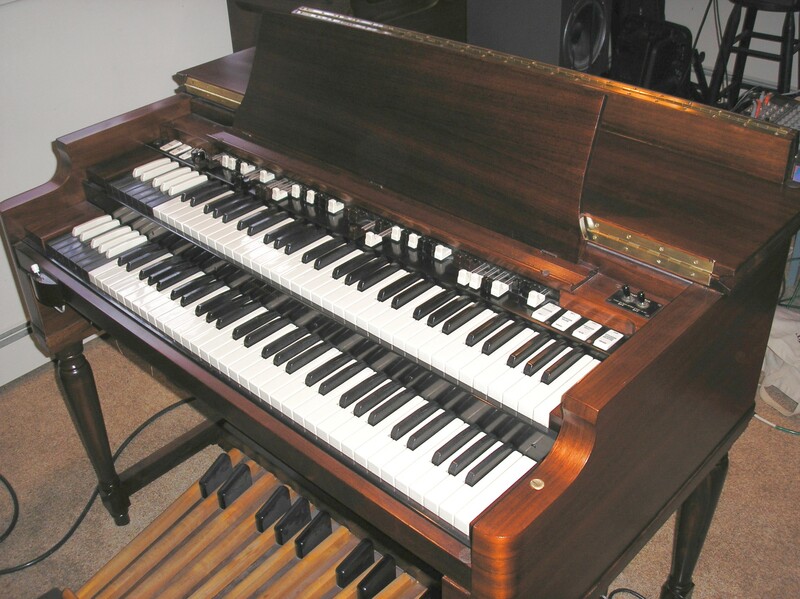 For example, on the Hammond B3 it is common to find the legs, and the leg spreader joints to be loose as well as the mitre joints on the inside front leg covers to be open. Another common area of repair is the decorative side molding that wraps around the lower portion of the case. 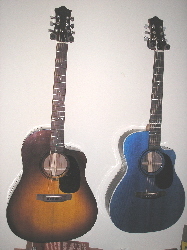 In the case of guitars, there are often gouges, cigarette burns, loose binding or the like that must be dealt with prior to applying a new finish. Once the basic woodworking or integrity issues have been dealt with, the cabinets or guitars bodies are sanded, sealed and pore filler is applied. Once the pore filler is sanded, Stain or opaque color coats are applied followed by a number of clear coats (depending on the instrument) followed by curing, final leveling and buffing. This process typically takes as little as two weeks (depending on my work load). The finish that I employ is a waterborne lacquer known as KTM-9. You can see more information on KTM-9 here: www.lmii.com. As stated on the above web site, KTM-9 dries hard and clear like nitrocellulose. Unlike nitro which takes weeks before it is hard enough to buff out, each coat of KTM-9 can be cured via IR lamp in as little as 20 minutes. This enables me to go from first coat final buffing in as little as 3 days with no after the fact finish sinking which can occur if nitro is buffed out too soon. In addition, nitro uses extremely volatile solvents and is a health hazard so I only use nitro for finish touch ups. I can provide various stains as well as custom blended opaque colors. I can have custom paints blended to match those of the old Fender finishes (taken from authentic GM and Ford paint chips of the 50’s and 60’). I cannot however provide a metallic finish at this time as KTM-9 is not compatible with the metal flake.